is elated to Celebrate the Life of this innovative woman leader, one that found a reason that women were not making it to the Top in business and Took Action to create positive change for all women. Experiencing the frustrations of most women, while attending ‘women’s groups’, this visionary captured the void that was needed for the creation of positive change among all women by establishing a philosophical framework which I felt was a critical component to helping women move forward. Women must stop being their own worst enemies, and grow to be committed to ensuring each other’s success! IN HER OWN WORDS: ‘At the time I was building my third and most successful company, Criterion Research, which I had started in 1984. A few months before I started WITI, I had moved into a house I had remodeled to accommodate both a living space and a business with room for a staff of about 8 people. Criterion had just won a huge contract from a major aerospace company, and I had asked my oldest son, Dave, to join Criterion to help me with the ever increasing workload. 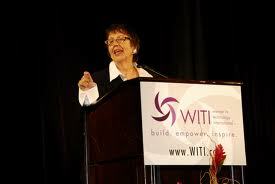 I remember so vividly the day the idea for WITI was born. I was sitting in a coffee shop waiting for a colleague and friend, Terry, who was also building a small company. 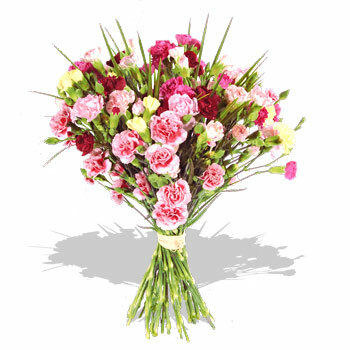 We had become friends and met regularly to help each other with business ideas, etc. While I waited for Terry – who was running about 30 minutes late – I started reading the cover story of a business magazine I brought with me. The story was about why women were not making it to the top, reporting that there was a mere 2% increase of women into middle management positions during the previous 10 year period. It was a statistic I found startling, even though it supported the stream of incredible stories I was hearing from women in technology at my client companies. As I read the story, I thought about what factors had been most helpful to me, as a woman struggling to build my own path, and thought about other lessons I had learned as I built my small companies. Because Criterion’s clients were technology and aerospace companies, I was meeting so many smart, well-educated, accomplished women who were experiencing such humiliating and demeaning challenges. These were primarily women pursing technical careers who had begun to share with me the humiliation they often experienced at work and the block walls they kept hitting when they tried to capture higher positions and responsibilities through their companies. When I first started hearing these stories, I tried hard to determine if these were women who just had “the wrong attitude” or were highly educated, talented, smart, competent women with a strong work ethic – women who had all the right “stuff” to make a difference in their companies, but were growing increasingly frustrated as they realized that their success was not entirely dependent on competence and contribution, but politics and the whim of the “ole boys network“. The media face of the feminist movement was represented by NOW, who, unfortunately, chose to present the face of angry, male-bashing women who were alienating the very men we women needed on our side. At that time, there were women’s groups formed around singular disciplines – women in math, science, etc. Technology was moving rapidly towards an interdisciplinary direction, pulling people from math, medicine, sales, biology, etc. My experience with the few women’s groups I had attended were pretty disappointing. I felt my time was being wasted with personal complaints and anger, rather than strategic discussions around moving forward and succeeding. So, when I started WITI, it was not just about creating a network of women in all aspects of technology, but establishing a philosophical framework which I felt was a critical component to helping women move forward. 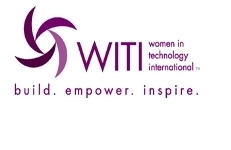 WITI is an international network of women in technology committed to help each other succeed. We are not about being victims, but about using our talents, intelligence and knowledge to succeed. We don’t want to be promoted because we are women; we want to advance because we deserve to advance due to our competence and contributions. We don’t have time to complain or feel sorry for ourselves; we want to get together to develop strategies, share connections and resources to help each other get a competitive edge. If you want to be part of an organization committed to make a difference – and want to get together to make things happen, join WITI. If you feel sorry for yourself and want to spend our time telling us why, join another organization. WITI is about finding solutions, making progress and serving as a ‘catalyst for change‘. 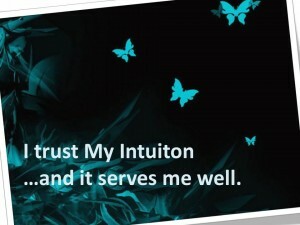 I am completely driven by my creative process and my intuition. My need to create new things that help people (and animals) is the passion that drives me. Like everything I have done, WITI was a creative exercise. Once I saw the possibilities WITI might create to help women, I became consumed by my desire to build something that would make a difference. WITI started out as series of small meetings with women in southern and northern California talking about issues, ideas for the network, and how we could use the network to help other women. When Sun Microsystems hosted the first WITI meeting, we were expecting about 50 women to show up. Instead, the room was overflowing with about 250-300 women and things just started spiraling out of control. Within days of that meeting, I was getting calls, faxes, e-mails from hundreds of women who wanted to be involved with WITI. Women started contacting WITI from all over the world, sharing their stories, their hopes and their dreams. Not only were they enthusiastically behind the idea, but several also wanted to spend hours on the phone telling me all the things I should be doing, we could be doing, etc. We were exhilarated by the fact that our message was clearly hitting a major nerve. I cannot even begin to express how these e-mails impacted all of us and made us more determined than ever to build something worthwhile that would make a difference! WITI had begun to consume all of my time and money. I had expected to build WITI slowly as I ran Criterion Research. The huge groundswell took all of us by surprise. I believed with all my heart that WITI could make a major positive impact and had come to believe it was my mission to do everything possible to make it happen. By 1994, I had reached a personal and professional crossroad. WITI was growing so rapidly, and taking so much of my time and personal funding, I realized it was time to make a serious decision: to turn WITI over to volunteers who could give whatever time they had available, or leave my position at Criterion Research and turn my complete attention to growing WITI into a global presence which would make a major difference for women. It was an easy decision on one hand and a very difficult decision on another; Criterion was experiencing tremendous growth with big possibilities. Practically, Criterion was a much better investment of my time if money were my primary drive. However, my passion and heart were already won by the women I felt I could help through WITI. All the companies I had started were about growing making a positive difference; I saw WITI as the venue to do just that, but in a much more significant way. I loved the idea of being a role model for other women entrepreneurs who shared my passion of wanting to make a difference and also wanting to build a business. I wanted to grow a company that modeled being a successful business and helping others. The idea of taking the lead as a woman to demonstrate that business and helping others do not have to be mutually exclusive has always appealed to me. I also feel strongly that as long as the words “non-profit” or “volunteerism” are attached to women, we will continue to be looked at as wanting “hand-outs” and not being taken seriously. The wisdom that “nothing worthwhile comes easily” perfectly characterizes my experience building WITI, and WITI’s first conference was no exception. The challenges we faced were probably routine for most conference pros, but because we had never put on a conference before, they were often quite daunting. However, throughout the project, we kept getting signals like this, indicating that ‘something bigger than all of us was happening‘. Despite warnings that we shouldn’t more than 300 to 400 for our first conference, we sold out the exhibit floor and had standing room only for our 1257 attendees. Winning Gloria Steinem as our first keynote was a great accomplishment as she had rarely appeared at events in Silicon Valley. An incredible and inspiring experience, Ms. Steinem challenged us to use technology knowledge to make the world a better place. WITI was the first women’s conference to be held on such a large scale. Prior to that, women’s events were normally much smaller, more like a symposium or series of seminars. Countless women told us how PROUD they were to be represented by such a first-class, business-centered event; they felt anyone attending that event had to take women and the women’s market more seriously. Since the very beginning, I have never ceased my efforts to bring attention to the issues facing professional women, to help women build the recognition they deserve, and to create partnerships to open doors for women-led businesses and professions. The WITI brand, philosophy and core values have been focused on and committed to helping WITI women grow, thrive and succeed. While things have been at times extraordinarily challenging, we at WITI are very excited about maintaining the original vision of WITI, combining a business-centric view with a spiritual dimension of kindness, welcoming each participant as a true equal. I believe the most unique and valuable part of WITI is its “soul,” and it is the philosophy and core values of that soul that have impacted all of us who love WITI. Building WITI has been a life-changing journey. 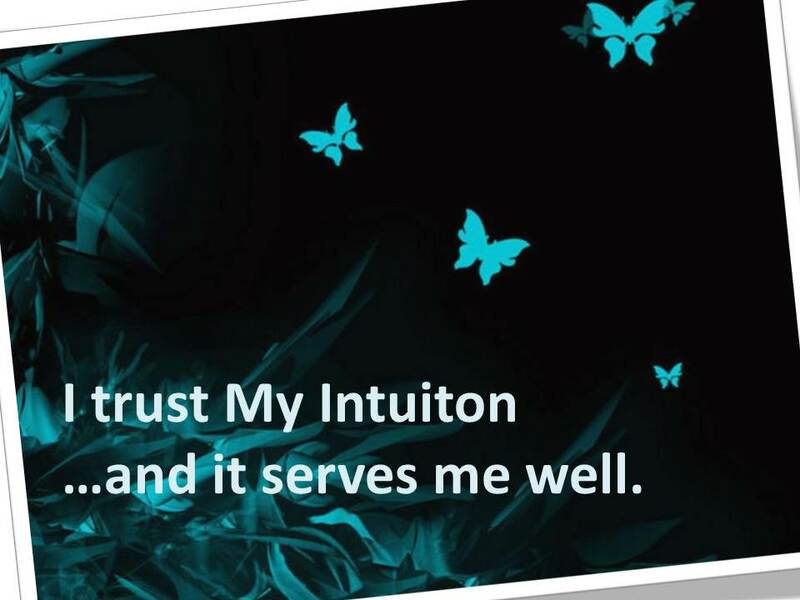 WITI has helped me reach a higher level of understanding and consciousness. WITI has allowed me the opportunity to integrate my love of business with my conscious choice to be kind and helpful to everyone who crosses my path and to encourage all WITI constituents to do the same. WITI has allowed me to meet women I now consider cherished friends and has allowed me the opportunity to make a positive difference in this world. WITI knowing that as each of us achieve our dreams, we ensure welfare and prosperity for all of us. MZ: What are the biggest obstacles facing women entrepreneurs today? CL: The number one obstacle for all entrepreneurs is funding. That obstacle applies to everyone trying to build a small business. 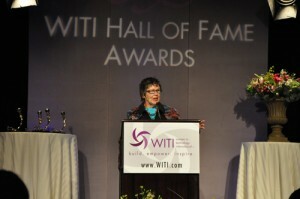 Carolyn Leighton founded WITI to help women advance by providing access to – and support from – other professional women working in all sectors of technology. (Read the story or watch the video.) WITI started in 1989 as The International Network of Women in Technology and, in 2001, evolved into The WITI Professional Association, the world’s leading trade association for tech-savvy women. Today, WITI is the premiere global organization empowering women in business and technology to achieve unimagined possibilities. WITI now provides an outsourced solution to power companies women’s networks. 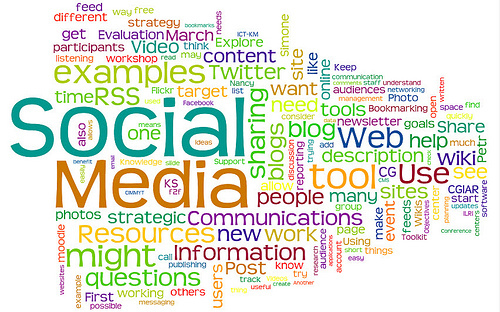 We currently provide these services for ADP, AT&T, eBay, EMC, GEICO, IBM, Life Technologies and Thompson Reuters. While these companies already had some programming in place, they particularly like our services for their employees because it allows women (and some of the men) to participate in programs around the globe. 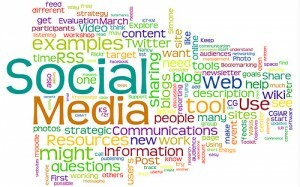 We offer 2 to 4 live webinars a month in addition to a library of content on the web that helps them grow in there careers and life in general. We also have live events, meet-ups at industry events, networking, mentoring, etc. For professional women who consider technology central to their businesses, careers and professions, WITI Networks provide amazing connections, resources and opportunities – all in a supportive environment that includes men who champion WITI’s mission. For organizations that want to reach decision makers, hire “star” employees and increase their bottom line by tapping into the power of WITI’s products and services. Businesses benefit by recognizing the that women’s leadership skills and purchasing power are the greatest economic force at work in the American economy today. For VP and C-level women, this network enables them to influence change, collaborate with peers, and become role models and mentors. To support the women of tomorrow, WITI has formed this network for college and university students on the cusp of new careers and ready to be mentored and inspired! 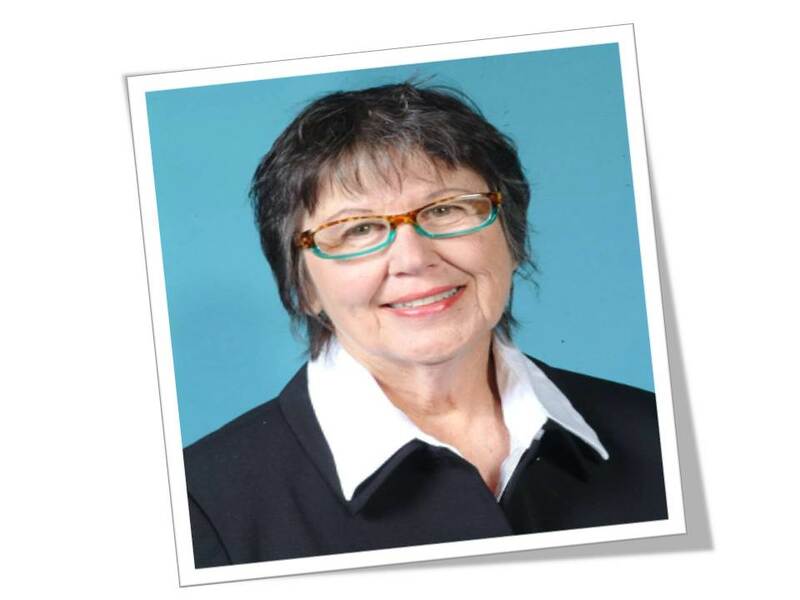 By Carolyn Leighton, Founder of WITI – Invest in your future today! welcomes this woman leader into our global alumni with open arms, in gratitude for her work bettering the lives of all women, and enabling the spirit of true collaboration in all her work.